Ever since the internet, there were always different ways to view movies or tv shows online. But watching pre-recorded shows or sports events can never compensate watching the same LIVE. And as always, the internet has come with the great solution to it; live streaming. Since live streaming’s inception; there have been quite a number of applications providing live streaming features to their viewers. Almost all tv channels telecasting sports events have an app of their own. Mentioned below are few most commonly used applications for viewing live telecasts of movies and TV shows. Castasy the new live streaming software in the market comes as mobile compatible versions for both android and iOS operating platforms. In addition to mobile applications, the software also comes as a website for traditional desktop users. As a different look at the live streaming industry; gone will be the days where any broadcaster had to look up to other broadcast channel and with Castasy, any buyer or entrepreneur can buy the script or software and start his/her own live streaming channel for streaming various movies, tv shows, live sports events or even a live news channel over the internet. The app comes with the NGINX-RTMP live streaming server, the best in the live streaming business. For a full package deal at $598, the software comes with all three versions, source code free support for about three months and free installation. And as an additional package for $699, the buyer gets the software and the full package with a WOWZA streaming server. This is by far the best live streaming application available for android users. With no subscription fees or even a signup; the users have access to a million episodes of tv shows and movies for free. Crackle updates its movies and tv show list every month and the users can create their own watchlist for their favorite movies and tv shows. LiveStream is another easy to use live streaming application using which users can not only view events but also broadcast them. The add-free application offers a high definition broadcast system and unlike Crackle, the app is available on both iOS and Android platforms. Local news channels and weather reporters use LiveStream to broadcast their programs online. LiveStream introduced Twitcam using which users can use their twitter accounts too to broadcast events as well as chat with fellow followers. 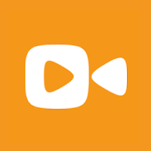 This live streaming app works more as a video aggregator that collects videos from a lot of video broadcasters and then allows users unlimited access to all these videos. Yidio app; though available on both Android and iOS platforms; is compatible with only a few devices. And since the app collects videos from other video broadcasters, some of these videos do not come for free. The most annoying feature is that the application has advertisements in every video. Though this seems a good revenue earning strategy for the app; it is not the same for the user. Viewster is another ad-supported application for viewing live tv shows and movies. With a license to broadcast about thousands of movies and shows from various languages, the application is available as a website and also available to download for Xbox users. If you’re feeling beaten down, this Video will get you up and running.